It’s no chore to watch supermodels shake it in a nightclub. But Peter J. Lovatt, a former professional dancer and a psychologist at the University of Hertfordshire in England, must examine the often unflattering gyrations of everyone from preteens to the elderly in search of the influences and motivations behind human dancing. Lovatt and his team record videos of the dancers and then quantify their groove thang using a special movement-analysis technique and software. Other times, observers rate traits such as the overall attractiveness of the dancers’ movements on video, or the observers wear a visor that tracks what elements of the dancer they are looking at. 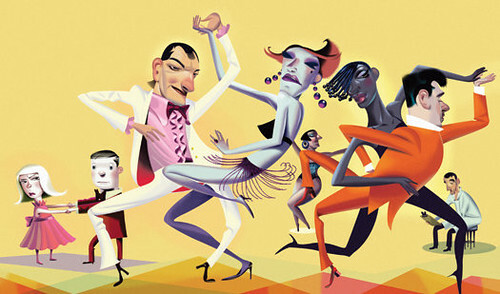 Findings suggest that young women rate the dancing of middle-aged men as less attractive than the dance moves of younger men, perhaps an evolutionary trait that discourages women from choosing older mates—middle– aged men tend to use big, uncoordinated movements, and women typically find complex movement most attractive. But don’t lose hope. Above age 60, men dance with more complexity. They also exhibit their highest dance confidence at that age. No wonder grandpa thinks he works it so good. 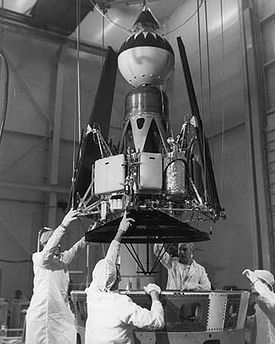 As we wonder what became of Mr. Wizard, we might recall that it was on this date in 1962 that the first American satellite to reach the Moon surface, the Ranger IV, was launched from Cape Canaveral, impacting the Moon three days later. The spacecraft was designed to drop a scientific package on the back side of the Moon that would return seismic, radar and television information to Earth. Instead, the probe had a computer failure; the solar panels did not extend, and the satellite crashed on the Moon. Still, though it failed its full mission, it was the first US object on the Moon.